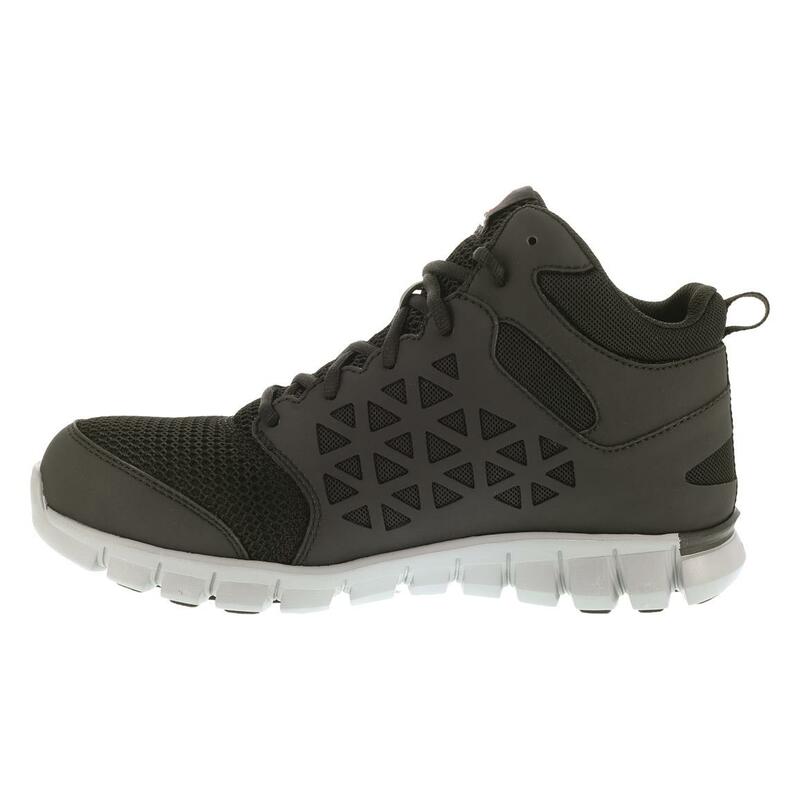 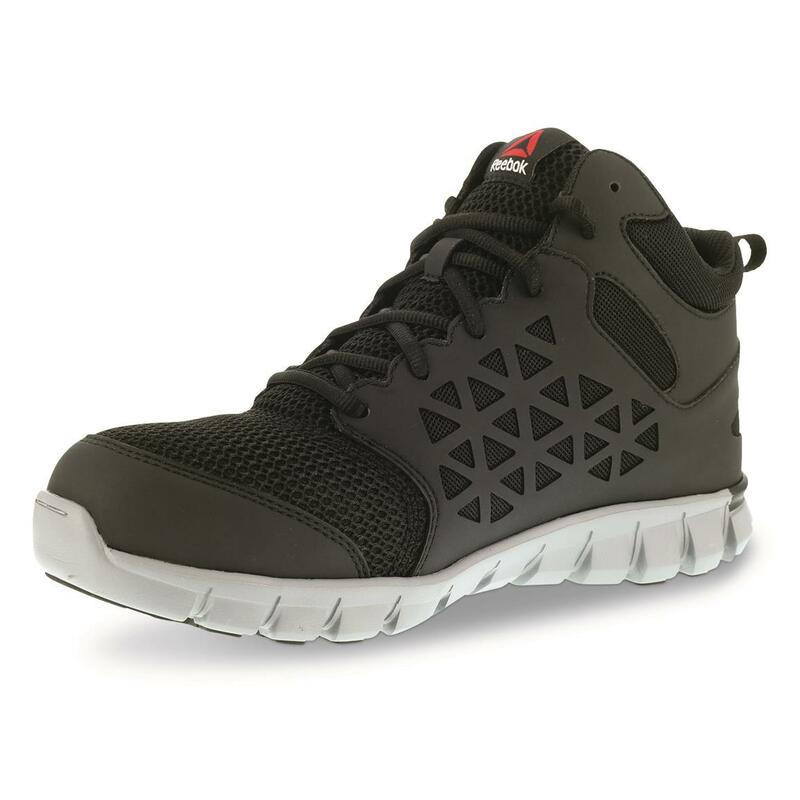 Reebok® Sublite Cushion Work Mid Alloy Toe Shoes offer athletic-shoe comfort in a durable design that's built for work. 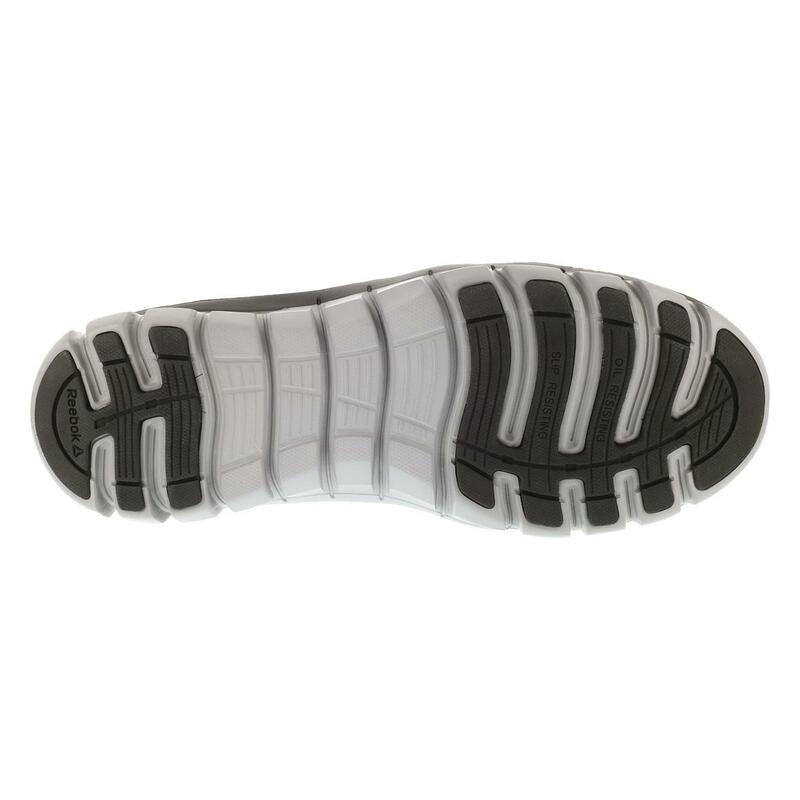 Durable microfiber/mesh uppers promote flexibility and breathability, while an ASTM-F2413 safety toe protects your toes. 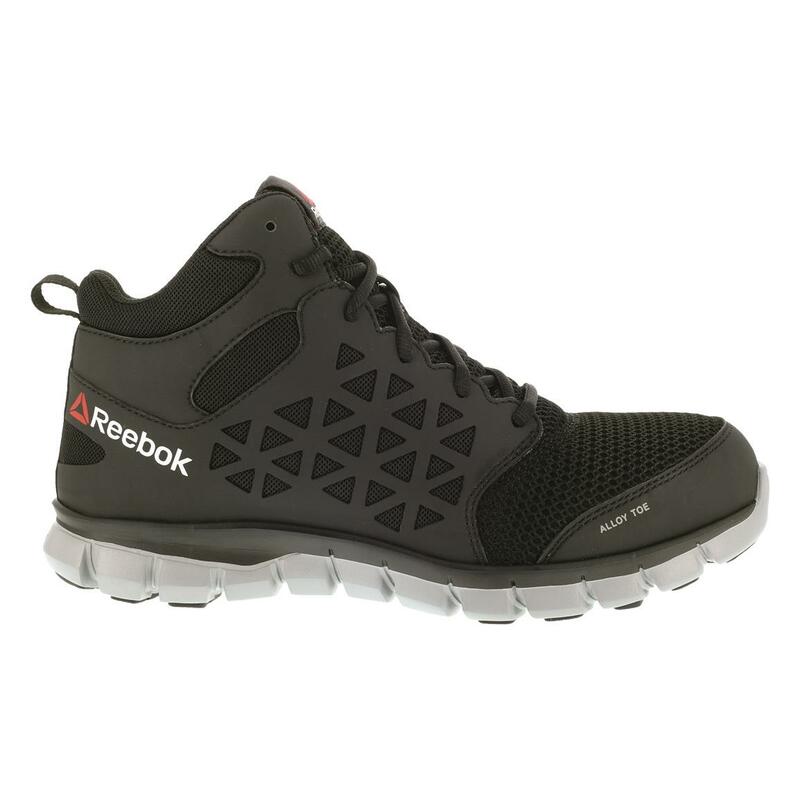 Cushioned midsole and removable MemoryTech Massage insole ensure comfort through the day. 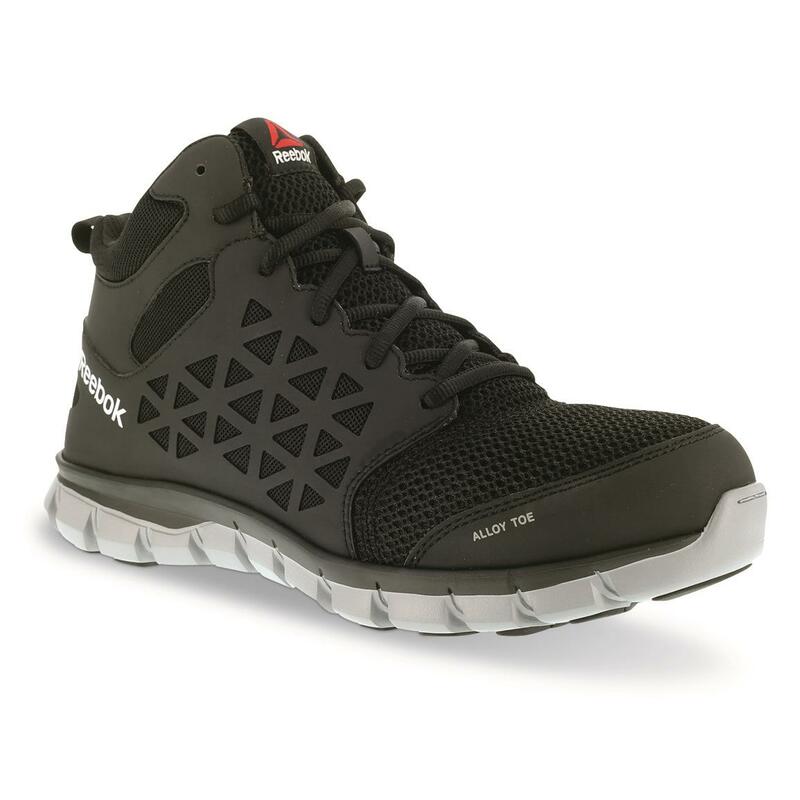 Plus, a slip-resistant, highly flexible outsole enhances mobility and helps keep your feet in positive contact with the floor.